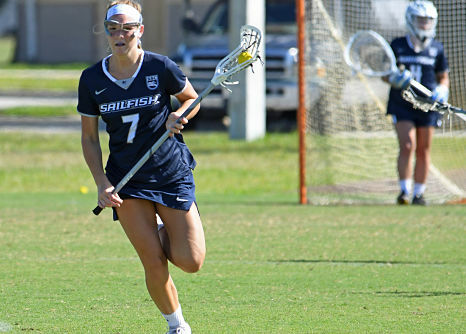 WEST PALM BEACH, Fla. – Palm Beach Atlantic women’s lacrosse head coach Jayson Schmidt has announced the upcoming 2019 schedule for the Sailfish. This year’s schedule includes 15 games with 10 taking place at the PBA Soccer/Lacrosse Field at the Rinker Athletic Campus. The Sailfish will begin the 2019 slate in Georgia, taking on Shorter on Jan. 31 and then Emmanuel on Feb. 2. PBA defeated Shorter last year for their inaugural win, taking down the Hawks 20-11 in West Palm Beach. PBA nearly defeated Emmanuel at home last year as well, falling 9-6. PBA will play at home 10 times during the season with the first home game taking place on Feb. 16 as Rockhurst makes their first visit to the Rinker Athletic Campus. The ‘Fish won’t play again until Feb. 27 when they host Davenport for the second straight year. In March the Sailfish will play six times – all at home – including the first Sunshine State Conference matchup of the year on March 30 as Rollins comes to town for the first time. The Sailfish will also play four teams for the first time during the month with American International, Oglethorpe, Post and Nyack all coming south. Alabama-Huntsville will make the trip for the second straight year. The month of April will see the ‘Fish travel three times to SSC foes with two contests at home. The ‘Fish will see Saint Leo and Florida Southern at home for the first time including the regular season finale on April 20 against the Mocs. PBA will make trips to Embry-Riddle, Florida Tech and Tampa during the month.